During childhood, people with normal vision have the ability to focus on objects as close as their nose and also on objects very far away. They can rapidly, without conscious thought, switch focus from near to far vision. This process of focusing at different distances is called accommodation. As each year passes, that ability to focus and to switch focus decreases. By the time most people reach their forties, they need an aid, such as reading glasses or bifocals, to focus on objects close up. 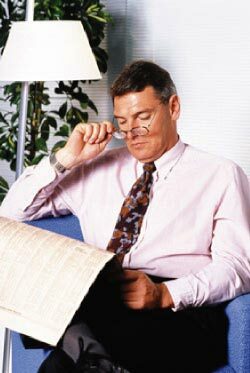 This condition is called presbyopia. Monovision can be achieved with contact lenses, cataract surgery, or laser vision correction (LASIK or PRK). If you are considering a vision correction procedure, your doctor can trial monovision with you through the use of contact lenses prior to undergoing a permanent laser vision correction procedure. For those undergoing cataract surgery who are considering the intraocular lens for monovision, an in depth discussion with your surgeon is necessary to be sure that this is the correct decision for you.